This project will fund four care workers at El Roi Baby Home for a year, enabling them to take care of orphaned and vulnerable children. El Roi baby home fosters 12 babies who are in the process of being connected with "forever families" through local and inter-country adoption placements with help from Abba Adoptions. There are many organisations and institutions that care for orphans in South Africa however we are seeking to create a home environment where our babies receive all of the things they need to have a healthy, loving and balanced start to life. 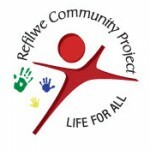 Share this https://different.org/projects/refilwe/caring-for-orphans/, email it, spread the word and make a difference. El Roi Baby Home opened its doors in October 2012 on the Refilwe Community Project property in Lanseria. Refilwe wanted to help provide a safe and loving home for babies on their way to their forever families through adoption and so they opened El Roi. Bonding Initiation that includes “kangaroo care” and a first 48 hour individual care programme. Uniform daily schedule to help establish routine and healthy boundaries. Sleep Training which provides that babies with 2 good naps a day and typically produces 12 hours of night-time sleep by 6 months of age. Individually designed daily OT Exercises that help our babies to stay on track developmentally. Pastoral Care is provided by local and international pastors who pray for the babies regularly and oversee our Baby Dedication Services. Our babies are cared for by a team of nine local and international, paid and volunteer Aunties who are scheduled around the clock to keep our home running smoothly. These Aunties are working together to create a safe, loving and consistent home environment where each baby is cared for until they leave our El Roi family. Our Staff meets monthly to discuss our babies, our home and to spend time enhancing our skill set through training workshops and discussions. To date we have been able to care for 22 babies, 9 of which have been connected with their forever families through the process of adoption. Statistically speaking, on average 200 babies are abandoned in Gauteng each month. The majority of those babies are left in dangerous or hidden places. In an effort to open the discussion of adoption and abandonment with our community we installed our very own Baby Safe in 2014. It is a place of anonymous abandonment where a mother could abandon her baby in a safe place. It is a covered, metal box in our palisade fence that has a weighted sensor in it. When a baby is placed in the safe, an alarm rings in the home and an Auntie would quickly fetch the baby. It provides mothers with a chance to abandon her baby to life rather than death and provides our community with a visible reminder that there are options to be considered and help to be received when anyone is dealing with an unplanned or crisis pregnancy. We are only given 1 life on this earth… Thank you for what you are doing with yours!!! thank you for what you are doing, it really is amazing and selfless. I pray the almighty keep blessing you.